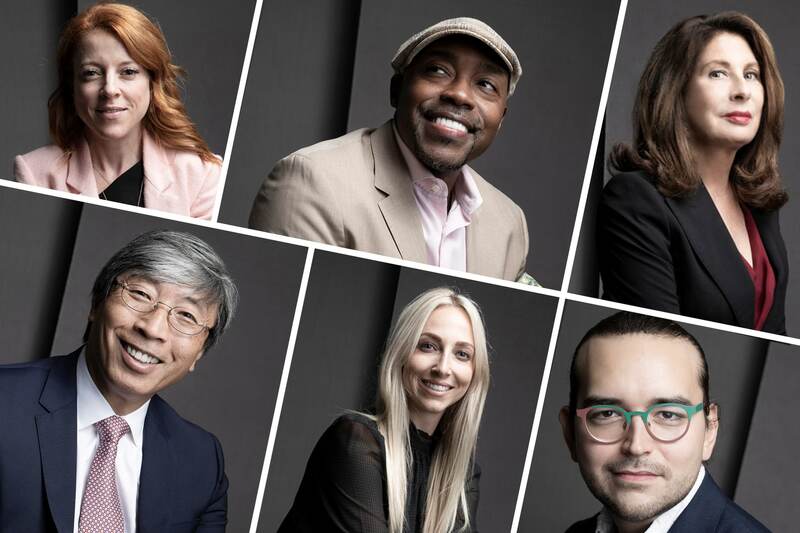 The 2018 edition of TheGrill — TheWrap’s annual conference of thought leaders in Hollywood, media and technology — created a whirlwind of news and serious conversation this week. For starters, we got a glimpse into how cryptocurrency may transform access to making entertainment. It’s hard for many of us to understand and harder to trust a new system of tokens and something that sounds like a device to protects a bicycle, a blockchain. It will probably require some fearless person to actually finance a movie this way and have it work for there to be broad adoption. Patrick Soon-Shiong seems like the knight in shining armor that Los Angeles has been waiting for. Not only has this billionaire medical savant spent $500 million to buy The Los Angeles Times, a sum that he acknowledged on stage was ridiculously inflated, but he has also sunk an additional $100 million into the paper’s staff and other areas in need of investment. The reason for doing so was simple, he said: “It wasn’t the money. It wasn’t the business. It was, ‘Do we want this paper to exist or not? '” He made clear in his discussion with me that he does. And he convincingly suggested that he is still focused on curing cancer with unconventional approaches, resolving climate change by developing alternate energy sources and reestablishing balance in our news system. There’s an “arms race” going on in content, and no one who is in the game can avoid being pulled into that competition. 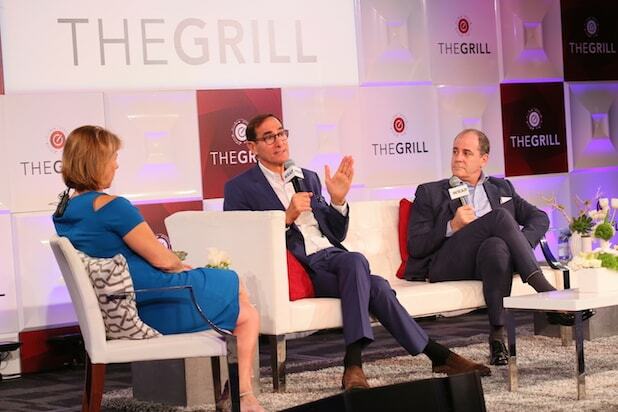 A conversation with Showtime’s David Nevins and AMC’s Josh Sapan made it clear that these boutique and/or independent networks, built on quality and focused programming to their audiences, are feeling the pressure of Netflix and its $8 billion spend on programming. Personally, I don’t believe that an exponential spike in content creation can be sustained without quality taking a hit. The kind of shows Showtime and HBO and AMC create take time, focus and an ability to nurture story, talent and risk. Free movies? That’s what MoviePass owner Ted Farnsworth said he’s aiming for, sometime in the future. When and how? Unclear. But Farnsworth, under fire from investors and media critics and customers upset over the cutback to three movies a month in the service, did clarify a number of things on the record. He said that MoviePass and its parent company, Helios & Matheson Analytics, are not out of cash. He’s not declaring bankruptcy. And he’s not really worried about the stock dropping to a penny since he said he just raised another $65 million. He also clarified that the real play for this company is gathering moviegoing data at scale and monetizing that for advertising and other products. Candidly, there was skepticism in the audience for these views, especially when Farnsworth said one of his future goals would be to create a model that allows for free moviegoing. Something tells me his studio partners (and clients) might not love that idea. That said, I invited him back in a year to check on his predictions, and we’ll be fascinated to see what happens next. It is certainly true that the demise of MoviePass has been predicted since this spring, and it’s still going. The only thing I can say about this conversation, led by gaming analyst Malik Forte, is that it was among the most popular debates at TheGrill in a category that is exploding. A fascinating back and forth happened in the green room between Activision CMO Daniel Cherry and L.A. Times owner Patrick Soon-Shiong, who is deeply excited by eSports — when he’s not busy trying to cure cancer. The L.A. Times would be smart to aggressively cover this topic, which is a nifty combination of sports, technology and entertainment. An inspiring young man named Matt Stern, one of 12 people named to TheWrap’s Innovators joined the Innovators List this year, impressed with the pitch for his $100 augmented-reality headset, which essentially looks like a pair of oversized glasses that can fit your cellphone. At just 22 and a recent grad of USC’s new Jimmy Iovine and Dr. Dre-endowed program in Integrated Design, Business and Technology, Stern and two friends created Mira, an innovator in augmented reality. Stern, who has all the focus and none of the arrogance of the new tech Masters of the Universe, had a message about being open to listening and learning from others and showed a maturity well beyond his years. It’s a reminder that innovation can come at any age, with intention and a good idea. I’m pretty sure we’ll see this guy back at TheGrill in years to come.